Toni Borowsky is Senior Lecturer in the Department of Linguistics at the University of Sydney and editor of the Australian Journal of Linguistics. Shigeto Kawahara is Assistant Professor in the Linguistics Department and Rutgers University Center for Cognitive Science at Rutgers University. Mariko Sugahara is Associate Professor in English Linguistics at Doshisha University, Japan. Takahito Shinya is Assistant Professor in English Linguistics at Otsuma Women’s University, Japan. 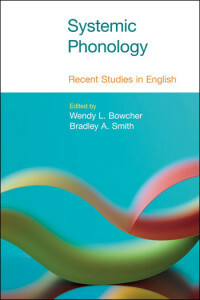 The theory of prosodic hierarchy, proposed and developed by a series of work by Elisabeth O. Selkirk at the University of Massachusett at Amherst, has been one of the most important areas of research within phonological theory in the past few decades. This collection of original articles, dedicated to Selkirk, address a number of aspects of the theory using evidence from languages as diverse as Arabic, Berber, Chadic, Dutch, English, French, German, Japanese, Korean, and Russian. 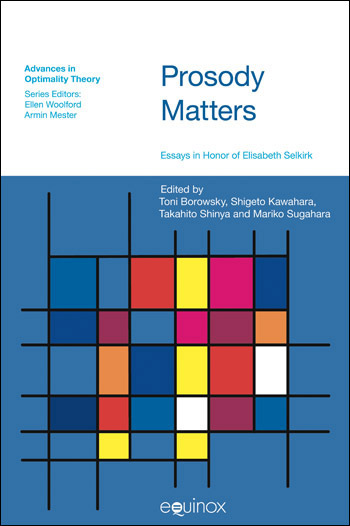 This volume was conceived to acknowledge Lisa Selkirk’s influential contributions to the field of linguistics. Lisa’s retirement provided a further opportunity for academia to recognize her accomplishments as a researcher and her generosity as a teacher, mentor, colleague, and administrator and to express our gratitude to her. The aim of the present paper is to provide a unified account for the phonological behavior of schwa in Moroccan Amazigh and Moroccan Arabic, which reveals a number of salient affinities in the prosodic phonology of the two languages. Building on the work done so far on these languages, our approach is framed in Optimality Theory (OT) (Prince and Smolensky, 1993/ 2004; McCarthy and Prince, 1993a, 1995, 1999 and related works). Joe Pater is Professor in the Department of Linguistics at the University of Massachusetts at Amherst. He is co-editor (with J. Lidz and W. Snyder) of Oxford Handbook of Developmental Linguistics (forthcoming). This paper introduces serial Harmonic Grammar, a version of Optimality Theory (OT; Prince and Smolensky, 1993/2004) that reverses two of Prince and Smolensky’s basic architectural decisions. One is their choice of constraint ranking over the numerically weighted constraints of its predecessor, Harmonic Grammar (HG; Legendre et al., 1990; see Smolensky and Legendre 2006, and Pater, 2009 for overviews of subsequent work). The other is their choice of parallel evaluation over a version of OT in which the representation is changed and evaluated iteratively (Harmonic Serialism; Prince and Smolensky, 1993/2004: ch. 2; McCarthy, 2007 et seq .). This study introduces serial HG with an analysis of syllabification in Imdlawn Tashlhiyt Berber (Dell and Elmedlaoui, 1985, 1988, 2002), the same case that Prince and Smolensky use to introduce OT. This analysis illustrates advantages of both serialism and weighted constraints. The paper also discuss some of the positive consequences of the adoption of serialism for the typological predictions of HG, as well as some outstanding issues for further research on serial versions of both OT and HG. This paper provides additional support for the formal definition of ONSET proposed in Smith (2002, 2003, 2008), a definition that makes reference to no details of syllable-internal structure other than the fundamental head/nonhead distinction. This head-based definition of ONSET has crosslinguistic empirical support and contributes to a view of the phonology-phonetics interface according to which constraints are only indirectly related to phonetic factors, even when functionally motivated. In the discussion that follows, the head- based definition of ONSET is shown to allow for a consistent, noncontradictory phonological analysis of the syllable position of glides in Korean. We will argue, following earlier proposals, that the distinct phonological patterns associated with the two affix classes reflect the different ways in which the affixes are incorporated into prosodic structure (Mithun and Basri, 1986; Aronoff et al ., 1987; Friberg and Friberg, 1991; McCarthy and Prince, 1994; Basri, 1999; Selkirk, 1999; Basri et al ., 2000). Affixes like the transi tivizing -i are true suffixes, which adjoin to a stem and form part of the same morphosyntactic and prosodic word as their host. Affixes like the absolutive -i are phrasal clitics which fall outside the morphosyntactic and prosodic word. This paper is devoted to reflect upon the subject of final devoicing as a pattern of phonological distribution in which both voiced and voiceless obstruents occur in a language, but at the end of a particular prosodic domain. This paper provides an analysis of Russian voicing assimilation and final devoicing couched within Optimality Theory (Prince and Smolensky, 1993 ), one that is cue-based but sensitive to questions of higher prosodic structure. An important goal will be to elucidate areas where the facts have been unclear in the past. Apart from prosody-related matters, this includes for example the controversial status of sonorants in the voicing processes. As we will see there is an important distinction to be made between processes that apply exceptionlessly and categorically and those that do not. This paper examines whether the head-Foot of PW has any phonetic correlates to distinguish it from a non-head-Foot even in an unaccented environment where the presence or absence of a pitch accent does not distinguish the two. More specific questions are (a) whether the designated terminal element (DTE) of the head-Foot of PW, i.e., a vowel with primary stress, is associated with longer durations than the DTE of a non-head Foot, i.e., a vowel with secondary stress (Sections 7.3 and 7.4, Experiments I and II), and (b) whether the head-Foot of PW as a whole undergoes lengthening (Section 7.4, Experiment II). 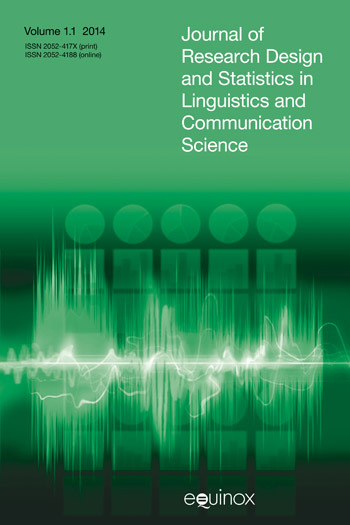 This paper explores variation in the tonal cues to prosodic phrasing observed in a corpus of read speech sentences in Egyptian Arabic (EA). There is variation between speakers in the cues employed to mark instances of the same type (or level) of prosodic juncture in the same position in the sentence, and there is also (what proves to be principled) variation in the types of cues employed at distinct instances of (what are expected to be) the same type/level of juncture occurring at different positions in syntactic structure. This paper seeks first to establish what the cues to Major Phonological Phrase (MaP)level phrasing are in EA, amid all this variation, and, as a secondary goal, to determine whether there is MaP-level marking of ‘XP-edges’ in EA. The rationale for this secondary question is to find out whether or not EA presents a challenge to edge-based mapping algorithms (Selkirk, 1986, 1995, 2000; Truckenbrodt, 1999), and their phase-based equivalents (Kratzer and Selkirk, 2007). Phonology: prosodic phonology; its influence on word structure; Optimality Theory. I am co-editing the OT book series Advances in Optimality Theory (Equinox Publications, London). Contact me with ideas for OT book projects in phonology and phonetics; for OT book projects in syntax and semantics, contact Vieri Samek-Lodovici (University College London). This paper reopens the question of whether two distinct phrasal categories are truly necessary. Is a model of prosodic parsing possible that accounts for all the facts, both in Japanese and in other languages, with a single phonological phrase category? We will argue that such a conception is not only possible, but in fact necessary: multiple categories create problems. The issue that I take up in this paper is the cross-linguistic variation in the number of prosodic levels, focusing on the case of Japanese. Some previous work on Japanese intonation, including those on J-ToBI and XJToBI, has not posited an Intonational Phrase (IntP), a level above a Major Phrase and below an Utterance (Beckman and Pierrehumbert, 1986; Pierrehumbert and Beckman, 1988; Maekawa et al. , 2002; Venditti, 2005). However, it has been proposed that an IntP plays a role in many other languages for example, in Italian, an IntP defines a domain of spirantization (Nespor and Vogel, 1986: 205211); in English, an IntP is signaled by socalled ‘comma intonation’ with a distinct pause and boundary tones (Nespor and Vogel, 1986; Selkirk, 2005). This chapter addresses both of these topics in the context of an analysis of the pausal forms of Classical Arabic. Words in Classical Arabic, a few modern Arabic dialects (Fleisch, 1968: 29; Fischer and Jastrow, 1980: 111), and Biblical Hebrew (Prince, 1975; McCarthy, 1979; Goerwitz, 1993) undergo various morphophonemic alternations when they occur in utterance-final position. Traditionally, the utterance-final context is referred to as pause , and the words that appear there are described as pausal forms or in pause . In this paper, I will derive the edge parameter from the head parameter in syntax and discuss the difference in phrasing between Shanghai and other Chinese dialects. In Section 12.2, I will briefly review the edge parameter theory of Selkirk (1986) and the prosodic differences between Xiamen and Shanghai. Section 12.3 illustrates the bare mapping from syntactic structure onto phonological representation (Tokizaki, 1999, 2008). Section 12.4 discusses how the differences between Chinese dialects can be explained without the edge parameter. Section 12.5 concludes the discussion. In this paper, we report a series of experiments on the interpretation of ambiguous VP Ellipsis (VPE) sentences like (3) that are spoken with either a H% or L% boundary tone. (3) John said that Fred went to Europe (H%/L%) and Mary did too. The elided VP at did may be interpreted with either the embedded VP went to Europe or the matrix VP said that Fred went to Europe as its antecedent. Our expectation was that the examples with a L% would behave more like the two sentence condition in a corresponding written study (described below), with more matrix interpretations, whereas examples with the H% would behave more like the one sentence condition in having fewer matrix interpretations. The expectation was not confirmed, with boundary tones being generally ineffective in biasing different interpretations of these VPE sentences. In what follows, we first present published and new experimental data and then discuss the results and their implications from the broader perspective of the various properties of prosodic constituents.